Perfect for home party and anyplace you want to have a special day. 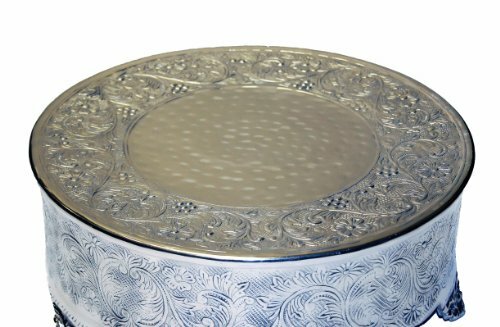 1 Cake stand with big size(12 inches). Fashionable and luxurious Silver Color. Made of cardboard. Size: 12 inches. 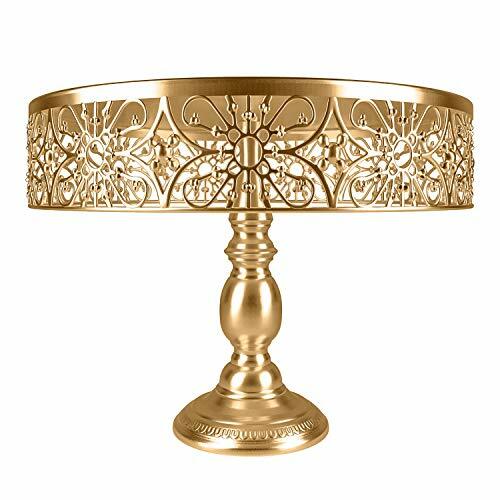 Materal: Wrought IronColor: GoldDiameter: Large: 12"; Small: 10"Product Description: This cake stand's antique gold color with excellent quality,unique sturdy and looks very gorgeous. 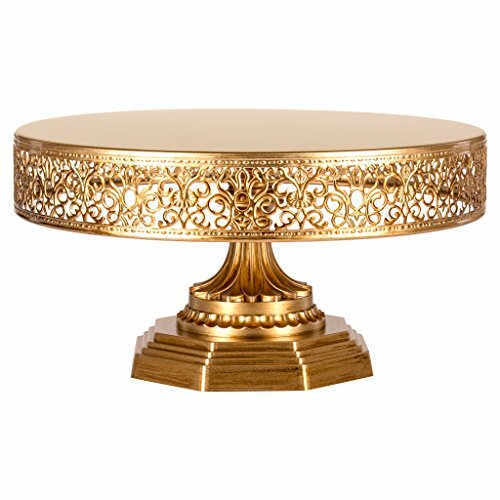 Made of all food safe materials, eco-friendly and durable.The cake stands with high quality and stability.It is great for displaying your cake, cupcakes, candies, cookies, muffins, pastriesor orother desserts for any occasion.And decoration your house. You will not regrets that buy this cake stands.It's not only beautiful, but also practical. 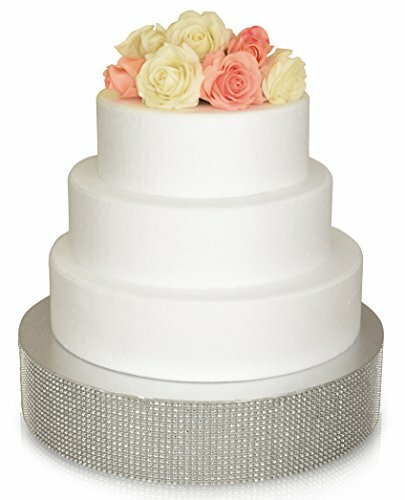 An essential for weddings and parties, this beautiful 3-tier cake stand adds drama and flair to your events. 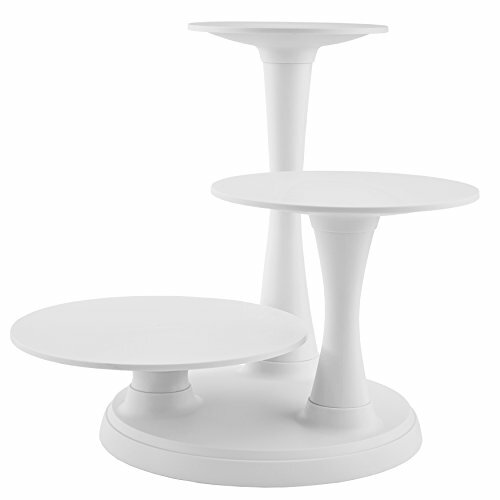 Once you’re done baking and decorating, you can display everything with our easy-to-assemble cake and cupcake stands. 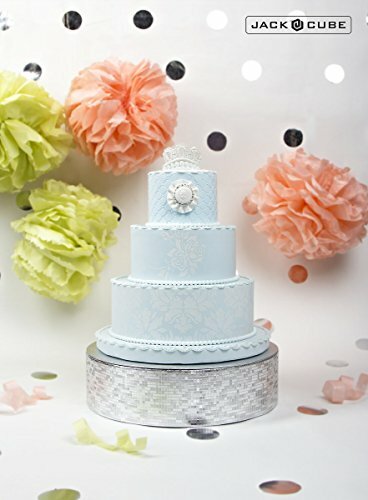 Showcase your cakes, cupcakes, danishes, cookies, muffins, tarts, and all the creative desserts and treats you’ve made on this beautiful, modern cake stand display with multiple tiers. The white color will work with any décor for any occasion. Let your sweet or savory treats tempt everyone at the party. 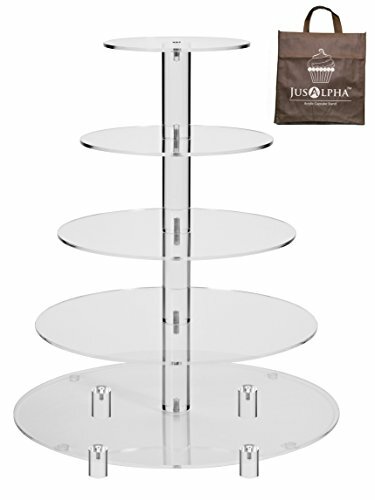 Includes base, three pillars, three plate supports and three plates. 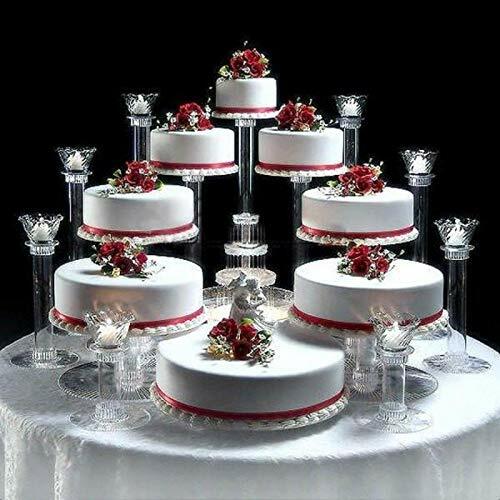 Plates hold 10-inch, 12-inch and 14-inch wedding cakes. Wilton helps families celebrate! We inspire the joy of creativity in everyone, everywhere, every day. Since 1929, Wilton has been helping home bakers and cake decorators all over the world create sweet treats and beautiful desserts by giving them the tools to make it fun and easy. The Wilton name is known around the world for cake decorating, candy making, bakeware and party products. At Wilton, we're passionate about bringing the love of baking and decorating to every consumer.